Welcome to my page and thank you for expressing your interest. I offer therapeutic and healing massage for your mind, body, and soul. 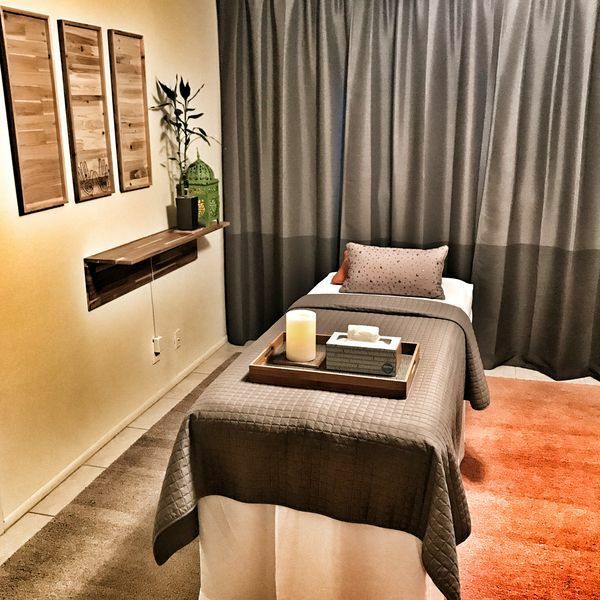 My ten years of experience as a licensed massage therapist include formal and extensive training in massage therapy and bodywork, nationwide and around the globe. As a former athlete, I have great awareness and understanding of the physical body and its functions, as well as thorough knowledge in human anatomy, physiology, and kinesiology. My dedicated studio...More is conveniently located in Pompano Beach (few minutes away from Fort Lauderdale at Powerline Rd & Atlantic Blvd) with free parking and serene/quiet atmosphere. I work on a professional massage table with fresh and crisp linens, all-natural lubricants, and soothing sounds. If you prefer to get pampered at the convenience of your private space, I travel as well. I am warm and friendly, hospitable, humble, and very detail oriented. Gathered by Nicco from admiring massage clients to share with you. Awesome massage, great technique, very thorough, knowledgable, and easy top deal with. A true skilled professional with great energy. Highly recommend. Thanks. Nicco has paid such attention to every detail - his massage is by the far the most effective I have ever experienced and you leave feeling totally new. Nicco has such a gentle and kind personality which totally makes you feel comfortable and his level of experience and touch is superb. I loved the atmosphere, the clean apartment, beautifully appointed studio, the heating pad (since I get cold easily, quickly), the hot towels, the excellent massage. One of the best, most relaxing experiences. Very professional, knew what he was doing. Went well beyond my expectations. I look forward to my next massage. My experience with Nicco was terrific. There was prompt and accurate communication to set up the appointment and his studio was easy to find with good parking. The ambience was serene, the massage studio was immaculate and the pressure was just as I requested. The stretching was also wonderful. The massage was a great combination of therapy and relaxation. I highly recommend! Nicco gives me the best and most therapeutic massages I’ve had in several years. His massage and stretching techniques are tailored for specific issues/injuries. I always walk away feeling like a new person. His home studio is home studio is immaculate and comfortable. Thanks again, Nicco! Nicco gave me the best and most beneficial massage that I’ve had in the several years. His massage and stretching techniques are tailored for your specific issues/injuries. I walked away feeling like a new person. Thanks again, Nicco! NICCO IS A WONDERFUL MASSAGE THERAPIST, VERY NICE A PROFESSIONAL, I LOVE HIS MASSAGE VERY RELAXING A THE PERFECT TOUCH AND PRESSURE. Wow! I'm rather new to getting massages and Nicco made the entire experience so pleasant. I found it incredible how he asked me just a few basic questions and yet he massaged me as if he's been working on me for years. His massage area is so serene and tranquil. I will be getting another massage for sure - thank you Nicco! My First time with Nicco and it was an amazing experience! I highly recommend him to anyone who wants a massage of deep relaxation by a pro! It was my first time and certainly won't be the last!